One of the common emotions I have consistently experienced over the past 30 years of labor is depression. It is defined as severe despondency and dejection, accompanied by feelings of hopelessness and inadequacy. It comes upon me out of nowhere. A melancholy I cannot shake. A helplessness of spirit that threatens to undermine my will to go on. Though I don’t think that my bouts are of the clinical or chemical variety they are very real and debilitating Darkness seems to close in and I fear the loneliness that comes with depression. I don’t know if Jesus was ever depressed but His experience in the Garden of Gethsemane was pretty intense. Faced with the gargantuan task of redeeming mankind through the cross, we see Him sink to a very low place. A place where He needs the strengthening and reassurance of his Heavenly Father about the task ahead. His emotion was so grand that an angel was dispatched to strengthen Him. Introspective about the difficulty of the task ahead, He pleads with Father to take away the challenge until He finally submits to the fate selected for Him. Our depression sources from feeling overwhelmed by our inadequacy of being able to institute real change in the lives of those we would seek to influence. 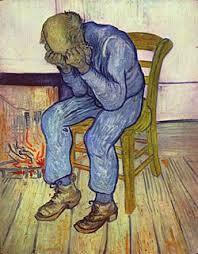 The laborer dealing with this kind of depression need to languish in prayer even as the Lord did. Cast all your anxiety upon Him because He cares for you. This kind of depression is overcome by the serious intercession of Gethsemane.